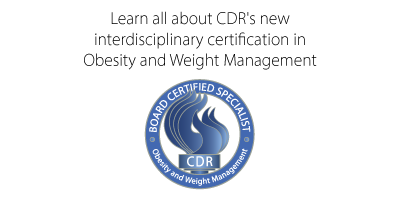 The Commission on Dietetic Registration is pleased to announce the Interdisciplinary Specialist Certification in Obesity and Weight Management credential. The credential will not only raise the standards in evidence-based practice benefiting clients and supporting CDR's mission of protecting the public, but it also emphasizes the importance of the healthcare team. Board Certification is granted in recognition of an applicant's documented practice experience and successful completion of an examination in the specialty area. First, you should familiarize yourself with the eligibility requirements and other exam information below. Which credential do you hold? Questions and/or comments can be directed to interdisciplinary@eatright.org. 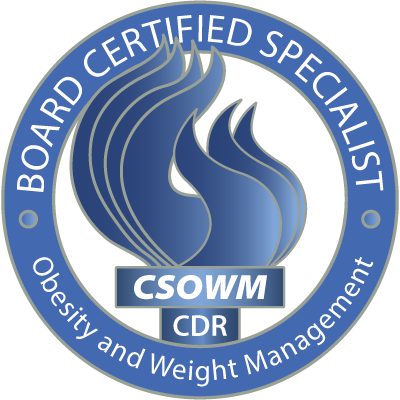 CDR, the credentialing agency for the Academy of Nutrition and Dietetics, is an equal opportunity organization and does not discriminate among candidates on the basis of race, creed, gender, religion, national origin, disability or marital status.